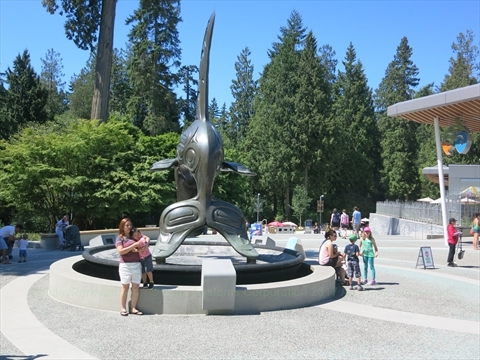 Where is the Sculpture Pool Plaque in Stanley Park? 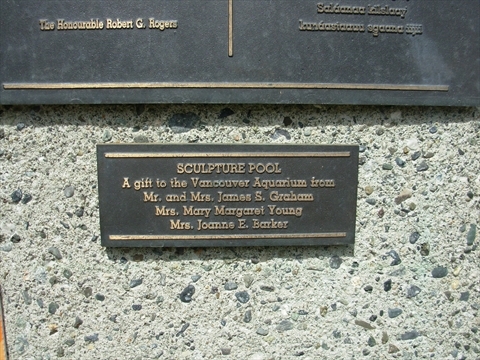 The Sculpture Pool Plaque is located on the side of the actual pool which is in front of the entrance to the Vancouver Aquarium on Avison Way. Inside the pool is the Killer Whale statue.